In 1999, long-standing friends and auto body shop repair colleagues, Cody Huggins and Dave Nelson, joined together to form Collision Specialists. After years of working side-by-side for an Auburn-based auction and auto body repair shop, the childhood friends decided to explore a new business venture together. They opened their first auto body repair and paint shop in Kent in 1999, quickly outgrowing the small facility within nine month’s time. This led to the opening of their second auto body repair location in Tacoma, which would become the flagship location. The business continued to flourish, and in 2007, Collision Specialists purchased and occupied the old Bowen-Scarff Ford building to add the third shop location to their business. 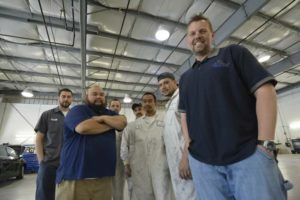 Now, this favored collision repair and paint specialist who is well-known and regarded for their customer-first philosophy, continues to thrive. Each year, their customer portfolio continues to grow with new fleet service accounts, returning clients and many inbound customer referrals. Collision Specialists offers skilled auto body repair labor and the latest in technical innovations to address collision repairs, re-alignment and vehicle painting needs. Our ongoing auto care services also include auto detailing, towing and glass replacement. 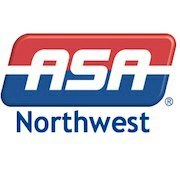 With two convenient locations in the south Puget Sound to serve their clients, Collision Specialists proudly repairs vehicles from Tacoma, Lakewood, University Place, Fircrest, Spanaway, DuPont, Fife, Milton, Puyallup, and the greater Kent valley. The greatest objective at Collision Specialists is to ensure the overall customer experience is comfortable and efficient. They are dedicated to providing the highest quality of workmanship possible when repairing personal, business and fleet vehicles. Services range from a simple bumper or wheel alignment, to custom paint jobs, and comprehensive auto body repairs needed after a collision or accident. We look forward to meeting and assisting you soon.